Save up to 40% on sale items. Plus, extra 10% off orders $50+ with coupon. If the eyes are the windows to your soul, then your hair is the key to your signature style! A new wig from VogueWigs.com can let you try out that new Rihanna cut, instantly turn platinum blonde and go from bedhead to Beyonce – all while protecting your real mane underneath. Gone are the days of helmet head, haircut horror stories and frizz-fried ombres. Shave off the dollars (instead of split ends) by using an un-be-weaveable Vogue Wigs coupon when you buy your next wig. Visit VogueWigs.com to step your mane game up from suburb to celebrity without breaking your Black Card. Choose from over 10,000 hand-picked synthetic & human hair wigs, lace front wigs, clip-in hair extensions, ponytails and hairpieces in addition to fun party looks on the cheap and special monofilament wigs for those suffering medical hair loss. VogueWigs is committed to keeping your hair Hollywood status – featuring an exclusive selection of premiere wig brands including: Vivica Fox, Raquel Welch, Motown Tress, Forever Young and Jessica Simpson. No need to wig out if the world of hair extensions is new uncombed territory to you. VogueWigs.com offers a free onsite educational section loaded with customized advice from Hair Gurus, a selection guide and styling tips along with its very own Wig Culture which features a Custom Wall filled with photos and video reviews from other real women and hair enthusiasts to cheer you along on your quest for perfect follicles. The only “H” bigger than the hair selection at VogueWigs.com is their – heart. They are proud to offer products which specially cater to the survivors of alopecia & cancer and also believe that curing medical hair loss is the permanent and compassionate solution for those affected. VogueWigs.com partners with National Alopecia Areata Foundation and Help Find A Cure For Breast Cancer and offers direct donations on their site. VogueWigs.com will take you from hair don’t to hair diva while CouponPal gets you the deals that keep you (and your bank account) from splitting hairs. The wigs can be your secret but the savings will be your crown & glory. Try on a VogueWigs coupon with your next order and change up the price along with your new hairdo! Often times, your signature style is expressed through your hair. 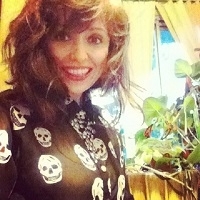 VogueWigs.com lets you express yourself many different ways such as being a platinum blonde during the day and curly red head in the evening for dinner. Buy wigs for less by using a Vogue Wigs coupon code. 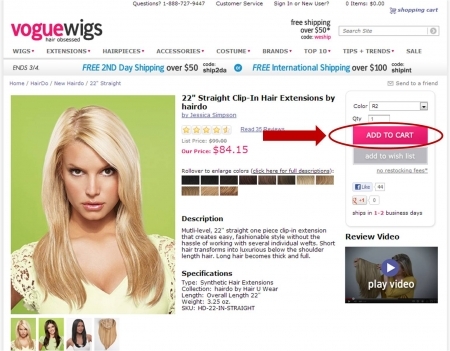 Below are instructions on how to use and apply a Vogue Wigs coupon code. 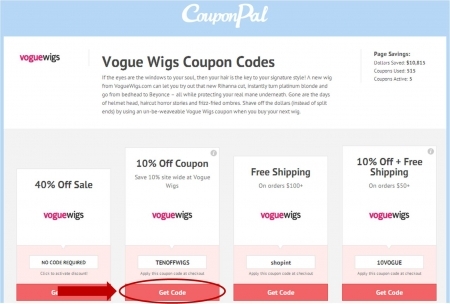 After locating the coupon or deal you want to use to purchase Vogue Wigs, click the corresponding "Get Code" or "Get Deal" button on the Couponpal Website. A new window will pop open when you click on your button. If Couponpal is providing you with a Vogue Wigs coupon code, copy and paste from the pop up window. Keep this window open in case you need to come back to it later. 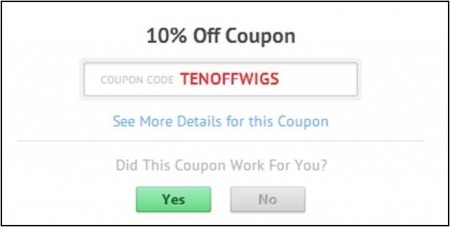 If there is no Vogue Wigs coupon code, you will skip this step. After you have clicked the Couponpal "Get Code" or "Get Deal" button, your window will be redirected to voguewigs.com. You can now browse through the category of Vogue Wigs you want to purchase. For example, you can click on Wigs, Extensions, Hairpieces, Accessories, Costume, Brands, Top 10, Tips + Trends, and Sale. When you find a Vogue Wigs item you are interested in, click on its picture to take you to the product page. From the product page, select options such as color and quantity, then click "Add to Cart." Confirm all the Vogue Wigs items in your shopping cart are correct. Then click "Proceed to Checkout." Enter your email address, Shipping Address, Shipping Options, Billing Address, Payment Method, then your Vogue Wigs coupon code. Then click "Checkout" to finalize your Vogue Wigs purchase. Vogue Wigs is a one stop shop for over 10,000 synthetic and human hair wigs to choose from online. 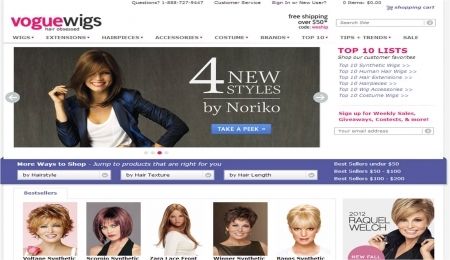 Find the widest range of wigs, extensions, hairpieces, costume wigs, and accessories from top brands like Forever Young, HairDo, and Jon Renau. There are also helpful facts about hair, such as how to information and video blogs. If your coupon code is not working at checkout, look to see that you are doing everything right. Make sure that you are at the correct store. There could be special restrictions for the coupon like a specific brand or expiration date. It could be that what you thought was a code is more of a special online deal. At Vogue Wigs the store policy to accept only one coupon per transaction. Measure from the front of your hairline (on your forehead) to the nape of your neck, passing through the ears each way. According to Vogue Wig representatives, the average wig will fit about 95% of the general population. There are adjustment tabs on the nape of most wigs. What is the best way to care for wigs? To keep your new wig fresher for longer, Vogue Wigs recommends using their patented No Sweat Liner by Headline. You should wash wigs every few wears to keep them clean. Hand wash your wigs in a bowl of cold water with a capful of synthetic wig shampoo. Do not use regular shampoo for a synthetic wig. With proper maintenance a good wig will last several years. It is difficult to give an exact time frame. Do you have styling tips? Synthetic wigs are styled with a wig brush or comb. Regular hair brushes may damage synthetic wigs because they are too harsh. To remove static or smooth out the wig use cool water or mousse. Human hair wigs are more like natural hair. You can use a heating iron on them, but the style falls out eventually. Should I dye my own wig? Vogue Wigs does not recommend altering their products. Not even the human hair wigs can be safely dyed by amateurs.